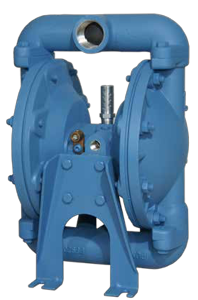 To be able to help you, we need to know a few important things about your AODD pump and its intended application. ✔︎ Provide a short description of your application. ✔︎ What is the fluid to be pumped? ✔︎ What will be the operating and maximum temperature? ✔︎ Provide approximate viscosity and pH. What is the solid content of the fluid? ✔︎ What is the flow requested? ✔︎ What is the needed output pressure? in order to be in Flooded Suction, Suction Lift or Submerged ? ✔︎ If the pump has to work in Suction Lift, what will be the depth at which the liquid will be? ✔︎ If the pump has to work as Flooded Suction, what will be the input pressure? SPS offers a wide range of spare parts for AODD pumps of the most renowned brands. Visit our dedicated pages by clicking on one the links here under to know more about product offering and more useful information. All trademarks are the property of their respective owners. SPS is not associated with anyone of them. SPS is the official distributor of Finish Thompson Inc., manufacturer of the FTI Air pumps.